When I received an email invite to Monday night's soft opening of Lafayette's Music Room, I immediately searched the web for a menu. I'm vegan, and I wanted to see if there were options before committing to a reservation. But the website for Overton Square's newest (and, perhaps, oldest since it's based on the 1970s music venue of the same name) concert hall is still a bare-bones placeholder site. No menu. But I responded back to the invite asking about vegan options and was informed there were none on the menu, but they could make something vegan. On Monday night, my partner Paul and I were seated at a table on Lafayette's second floor indoor balcony, which overlooks the stage and tables below. A gypsy jazz band was playing, and nearly every table in the joint was full. And the crowd even spilled out onto tables on both levels of the outdoor balcony. The music from the band (and later from the sound system when the band was taking a break) was a little too loud for making conversation, but Paul and I typically spend most meals looking at our individual cell phones anyway. It's 2014. Who talks to each other anymore, anyway? We ordered beers — me a Wiseacre Ananda IPA and Paul a Bud Light — which arrived at the table quickly despite the large crowd. 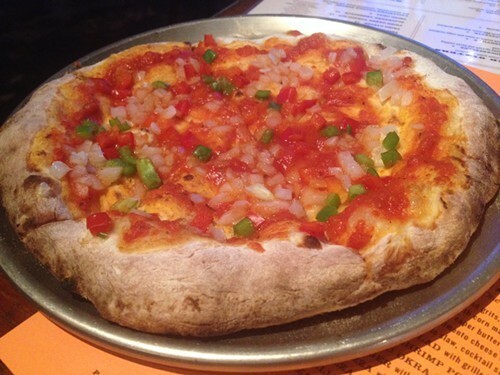 When I informed our server that I was vegan, he retrieved someone from the kitchen who said he'd be more than happy to throw together a wood-fired vegetable pizza without cheese. Cheese-free pizzas really allow the crust to shine, and thankfully, this was some fantastic crust. Chewy and soft and crispy all at the same time. The only pizzas on the limited soft opening menu were a Cajun Crawfish Pizza, a Buffalo Chicken Pizza, and a Shrimp & Andouille Pizza. But the kitchen staff just combined some of the veggies from each for my vegan version. 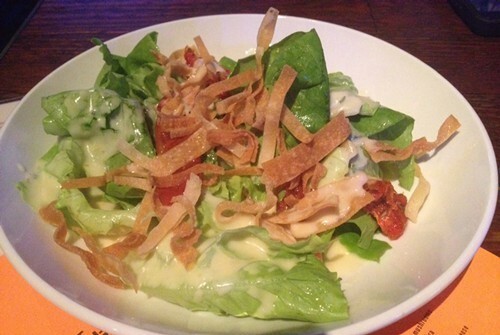 Paul and I also split a Lafayette's Salad — bibb lettuce, roasted tomatoes, crispy wonton strips, and citrus vinaigrette. This typically comes with feta, but I asked for that on the side so Paul could have it all. The roasted tomatoes paired well with the citrus dressing, and that bibb lettuce was so tender. And nothing beats a salad with fried stuff on top. Paul had the Amberjack with Corn Maque Choux and Pickled Okra. I didn't get a picture, but he said the fish was delicious, and it reminded him of chicken, whatever that means. It was served in a cast iron skillet atop the creamy corn. And for dessert, Paul had the Chess Pie. Again, not vegan, so I didn't photograph it or try it, but Paul really enjoyed it. He secretly loves dining out with me because he doesn't have to share his food. Overall, the atmosphere was light and fun. Although the music was a bit loud for dining, Lafayette's is primarily a music venue, so I think that's okay. It'll be fun to see what acts they book in the coming months. The first person to correctly ID the dish and where I'm eating wins his or her choice of either a gift certificate for Gould's or a gift certificate for Interim. 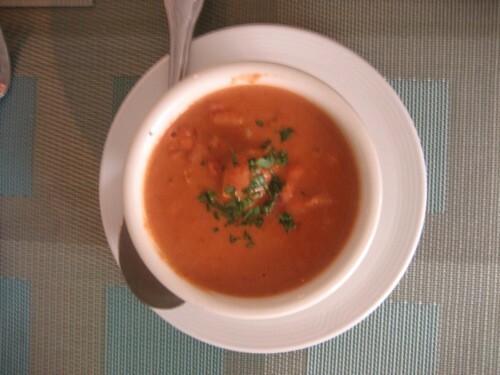 The answer to GWIE contest 38 was the African peanut soup at the Brooks' Brushmark, and the winner was ... Dabney Ring! 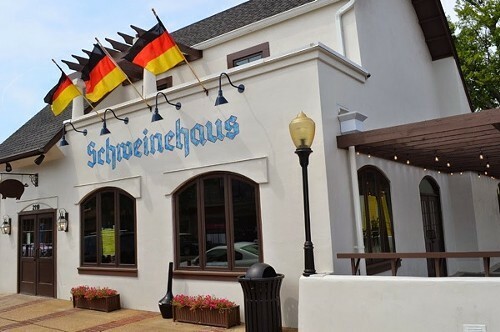 Last week, we went to check out Schweinehaus for lunch. 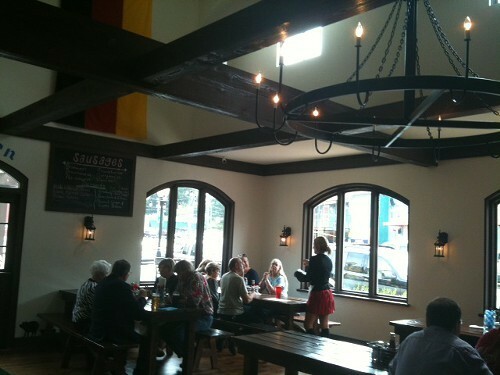 It looks great — the old Paulette's has been cleared out for an open, airy space with white walls and brown accents. Most of the tables are long with bench seating for family-style meal. The design very nearly insists on big gatherings among family and friends. 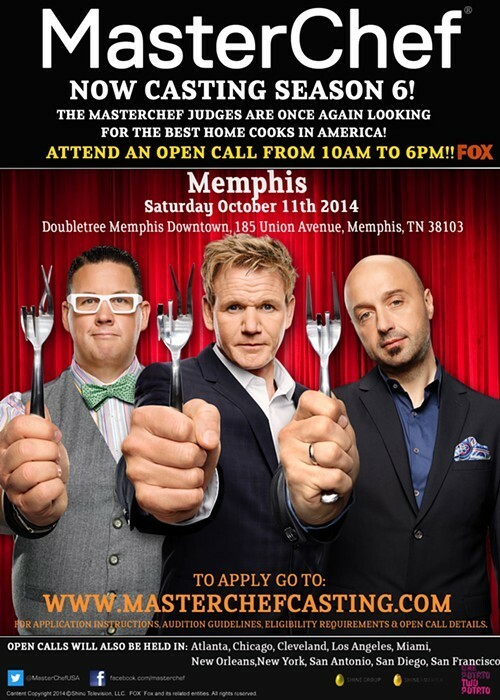 Master Chef, the reality show featuring home cooks competing for the title of Master Chef, is holding a casting call on Saturday, October 11th, 10 a.m. to 6 p.m., at the Doubletree hotel downtown. The Mid-South is hungry for Hungry Girl. Take Susie Smith. 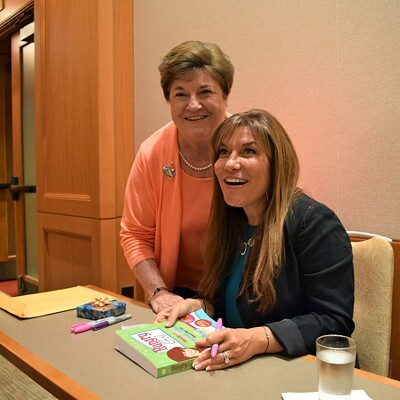 A grocery store clerk from Cullman, AL, she woke up at 5:30 a.m. and drove for five hours to see Hungry Girl’s Lisa Lillien speak in Memphis on Sunday. The reason? She had a question about shirataki noodles. 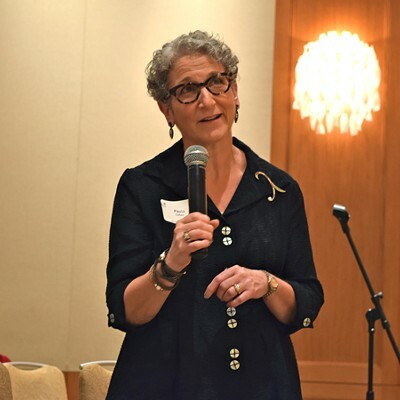 Coleman was one of about 300 women—and maybe seven men—in the audience at Temple Israel on Sunday. 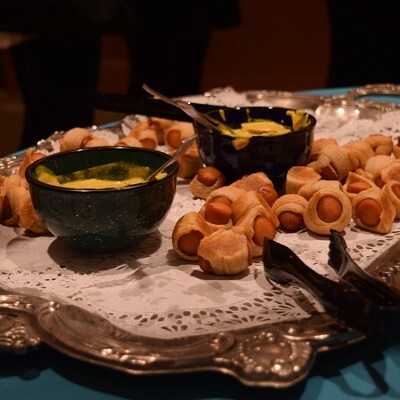 Hosted by the WRJ Sisterhood, the event began with hors d’oeuvres prepared using Hungry Girl recipes, followed by a conversation between Lillien and WREG’s April Thompson. 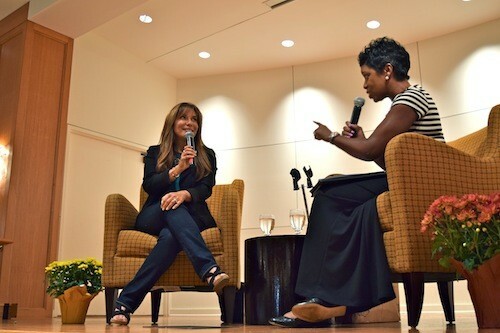 During the Q&A that followed, the audience of well-dressed women treated Lillien as a close friend, warmly addressing her by her first name (“Hi, Lisa!”). 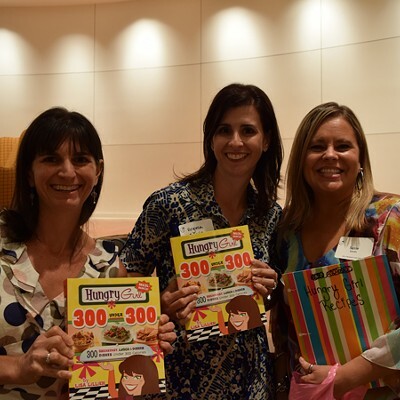 For her part, Lillien spoke on a variety of topics, everything from faux-fried recipes using Fiber One, to fat-free pretzels, to birthday cake. 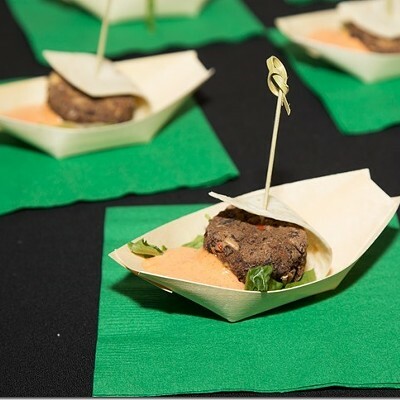 Afterward, the audience were treated to goodie bags stuffed with some of Lillien’s favorite foods: Vitalicious VitaTop muffins, Starkist tuna pouches, and Flatout Foldit flatbreads, to name a few. While opening her goodie bag, Phyllis Gregory said she’s been following Hungry Girl for nine years. Folks, this week's prize is a good one: 2 tickets to the Brooks' annual Vin-a-Que on Friday, September 26, 7-10:30 p.m. This year's event will feature a whole hog prepared by Andrew Ticer and Michael Hudman of Andrew Michael Italian Kitchen/Hog & Hominy. 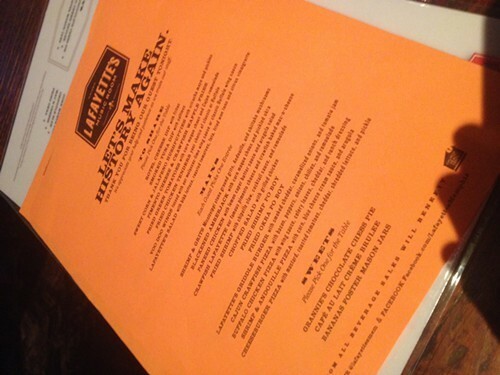 The Rendezvous, One & Only BBQ, Southward Fare and Sweet Grass, Corky's, and others will provide additional fare. 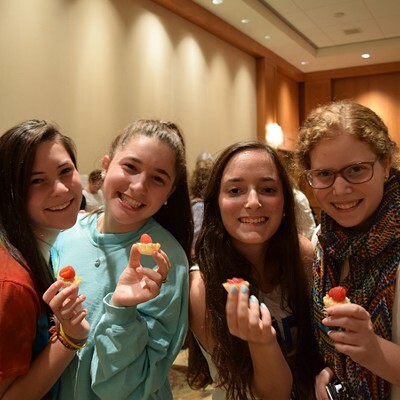 Kosher and vegetarian options will be available as well. There will be wine, specialty cocktails, and craft beer. Vin-a-Que is part of the Brooks' Wine & Food Series and supports the museum's education programs. The first person to correctly ID the dish and where I'm eating wins the tickets. 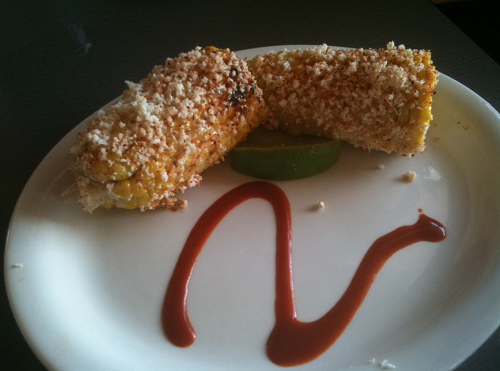 The answer to GWIE 37 is the elote at Chiwawa, and the winner is ... John Scruggs. 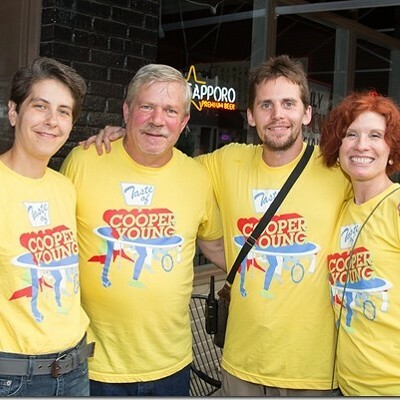 Photographer Frank Chin caught all the yummy action at the annual Taste of Cooper-Young event Thursday night. 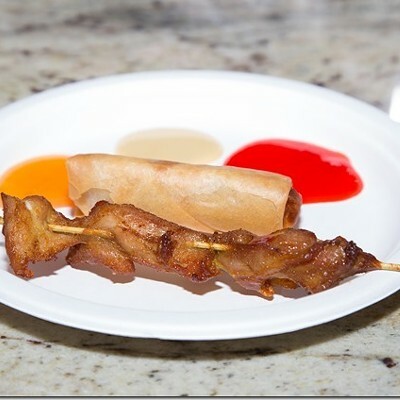 Food was sampled from a variety of Cooper-Young restaurants. The after-party featured live music by The Bouffants and Pat Register. After the success of its spring culinary series, the Church Health Center (CHC) is coming back for seconds. 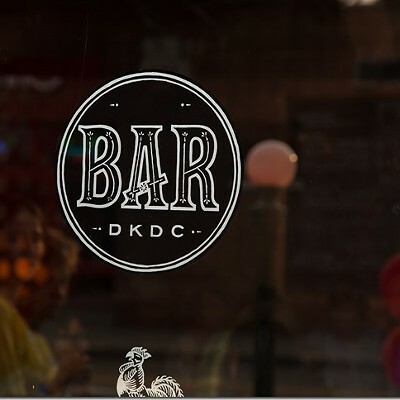 Beginning in October, they will offer a cycle of weekly cooking classes for the general public, each will feature a prominent local chef. Some of the big names are Mac Edwards of the Elegant Farmer, Felicia Willett of Felicia Suzanne’s, and Melissa Petersen of Edible Memphis. 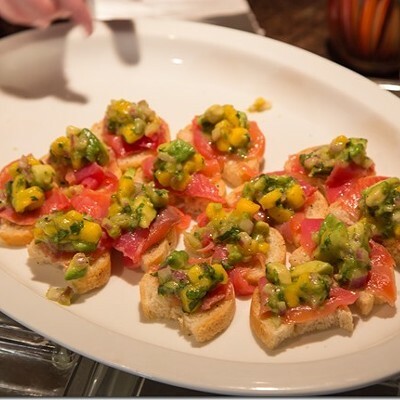 Classes, which cost $45, include food and wine. In other words, no need to bring anything—just show up. The first class (10/2) will feature Chef Jenn McCullough, who will teach a class called “the Steakhouse Experience.” In it, she will demonstrate how to duplicate fancy restaurant appetizers at home. Interested, but can’t make it to class? You can also purchase a ticket and donate it to one of the Church Health Center’s less-fortunate clients. Classes take place on Thursday, from 6:00 - 7:30 pm. Sign up online, or call (901)-701-2236 for more information. 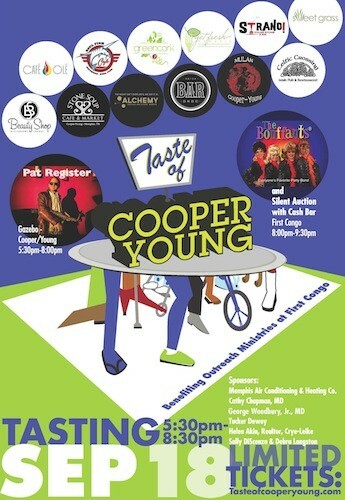 The Bouffants have a motto: “The higher the hair, the closer to God.” So it seems especially appropriate that the popular showband, with its ever-changing cast of big-voiced (and bigger-wigged) singers, should headline Thursday's A Taste of Cooper Young. 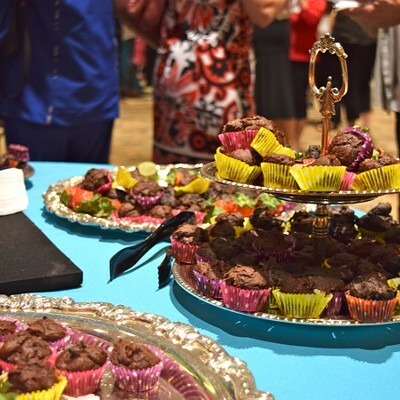 The annual party for Memphis foodies used to benefit the Memphis Literacy Council, but the event has been taken over by First Congregational Church, and proceeds go toward funding the progressive church’s various outreach ministries. 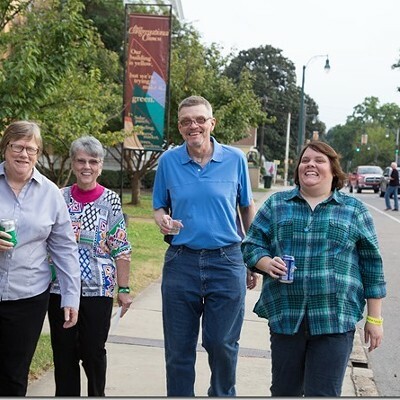 Starting at 5 p.m., participants can pick up wristband from First Congregational Church. 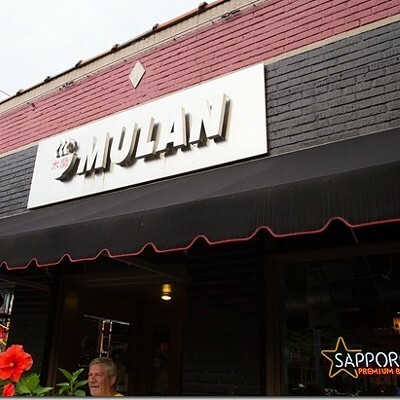 The wristband entitles the wearer to a small dish, or “tasting,” at a dozen popular Cooper Young area restaurants all within walking distance of the church. 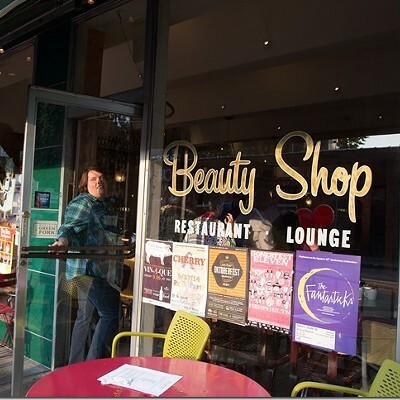 Participating restaurants and food-related businesses include Alchemy, Bar DKDC, The Beauty Shop, Cafe Ole, Celtic Crossing, Sweet Crass, Mulan, Strano, Stone Soup, Soul Fish, Green Cork, and Get Fresh. 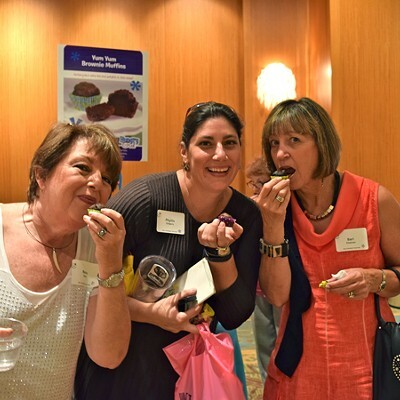 The food tasting continues till 8:30 p.m. Meanwhile, saxophonist Pat Register will be performing in the corner gazebo and the Bouffants will play from 8 p.m.-9:30 p.m. in the sanctuary at First Congo, where a silent auction will also be conducted. First Congo is a justice-minded church. Its outreach ministries range from traditional food ministries, to community gardens, to a “Blessed Bee” program that helps to repopulate devastated bee populations. The first person to correctly ID the dish and where I'm eating wins his or her choice of a gift certificate for One & Only BBQ or a gift certificate for Gould's. The answer to GWIE contest 36 is Mensi's, and the winner is ... Elizabeth Ennis! 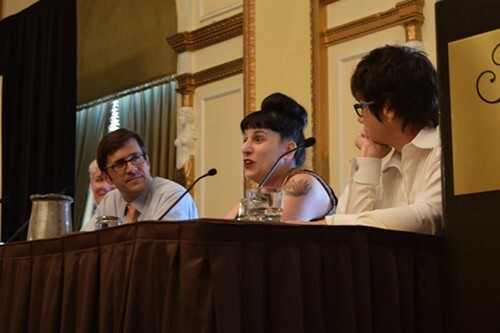 From left, Southern Living's Sid Evans, CNN's Kat Kinsman, and The New York Times's Kim Severson address food writers at the 2014 AFJ Conference. There’s no one way to write about food. In his memoir A Year in Provence, Peter Mayle opts for a worldly insouciance, describing a civet of hare with something approaching religious reverence. Meanwhile, in Kitchen Confidential, Anthony Bourdain writes prose that explodes like a cluster bomb. Which got me to thinking: What’s the best way to write about food? How do you stand out from the crowd? Should your writing reflect popular tastes or try to lead them? And how the heck do you manage social media, anyway? I put these questions to attendees—both distinguished and little-known—at the 2014 conference of the Association of Food Journalists (AFJ). It was held, these past few days, right here in Memphis, at the Peabody. 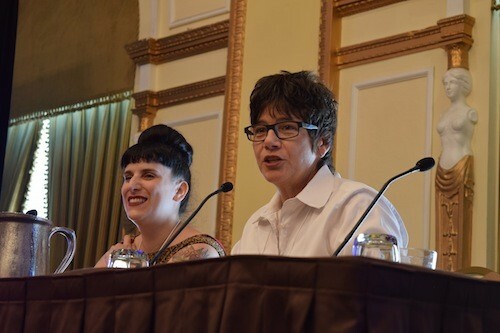 Kat Kinsman (left) of CNN's Eatocracy and Kim Severson of the New York Times address food journalists from around the country at the 2014 AFJ Conference. 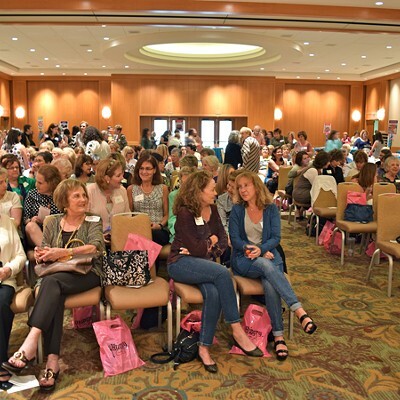 The Association of Food Journalists (AFJ) is an elite society about which little is known. Much like the Illuminati or the Freemasons, they gather in secret, donning strange robes and reading from arcane manuscripts. The extent of their holdings has only been guessed at. Until now. This year, the AFJ is holding its [annual conference] in Memphis, and the Flyer has been able to secure unprecedented (OK, somewhat precedented) access to its secret meetings. Be advised: the following content may not be suitable for young children. Over the last 10 years, craft brewers have pushed beer to its limits, chasing the hoppiest, most alcoholic, most badass beer they can make. Beers like Dogfish Head's My Antonia and Goose Island's Bourbon County Stout. And really, who can blame them? In the first place, it's delicious. Maybe more importantly, it's macho. And for most brewers, that's kind of a big deal. The problem with extreme beers is that once you've had two or three, you're toast. And most of us-well, we don't want to seal the deal that quickly. We want a beer that can take us through the night. We want a beer that we can sit down and get to know. Enter High Cotton's new Session IPA. 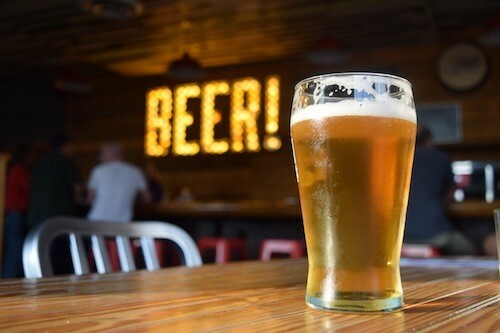 At 4% alcohol by volume, it's the kind of beer that can take you through a summer barbecue-the kind of thing where you can have a beer an hour for five hours and not get drunk. 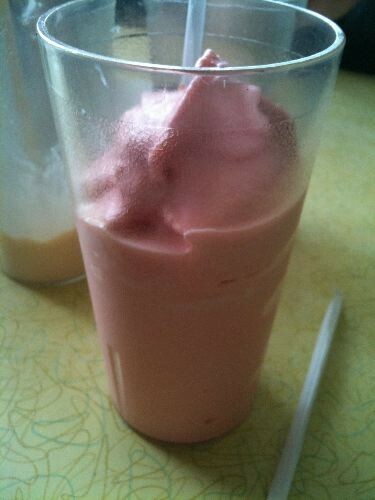 Even better: it's delicious. Staggs is the chief operating officer at High Cotton and the brains behind their new Session IPA. To make it, he started with Great Western malt-a light base malt-and added a little bit of Vienna malt for body. To flavor the beer, Staggs chose two kinds of hops: Chinook and Sorachi Ace. The result is an eminently drinkable summer beer, with lemon peel and citrus in the nose. The flavor is light and clean, starting off sweet and ending with just a hint of bitterness. In other words: fire up the grill. The Memphis Farmers Market is expanding its season with a six-week winter market, running from November 8th until December 13th. 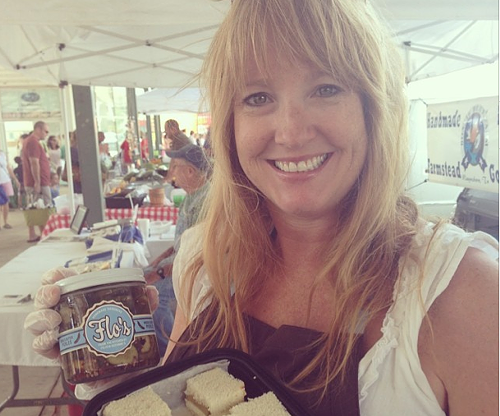 The market will be open on Saturdays, 9 a.m. to 1 p.m. The regular season ends on October 25th. The market will take off a week for its Barnyard Bash, an annual fund-raising event on November 1st. 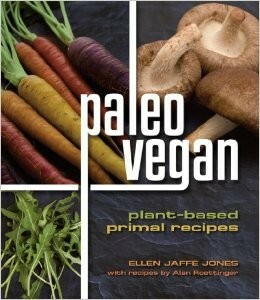 Paleo vegan — now there are two words you'd never expect to see side by side. The paleo "caveman" diet centers around meaty meals and eschews grains on the basis that our ancestors didn't eat grain. But paleo diets and vegan diets do have a couple of common threads: 1) we both eat lots of vegetables, and 2) we both avoid dairy. By contrast, the Standard American Diet (commonly and appropriately referred to as the SAD diet) is one filled with drive-through breakfast sandwiches, packaged chips and cookies, microwaveable dinners, and breaded and fried meats. And while some vegans do enjoy processed food from time to time (Hey, I can eat Tofurky sausages all day long), the basis of a healthy vegan diet is veggies. No meat, eggs, dairy, or other animal products are allowed, but every veggie gets a green light. And that's also very important to the paleo folks, whose diet centers around lean meats, veggies, and healthy fats. Paleo dieters avoid grains, legumes, and dairy. The paleo diet has been all the rage among athletes over the past few years, and very recently, a couple of prominent vegan food bloggers have ditched veganism in favor of a paleo lifestyle. But according to a new cookbook by Ellen Jaffe Jones and Alan Roettinger, there's no need to trade that tofu for a T-bone. Paleo Vegan promotes a vegan diet based on whole, unprocessed foods (sadly, my precious Tofurky is out) — nuts and seeds, fruits, veggies, and healthy fats. As for that protein that traditional paleos take in through their heavy meat consumption, Paleo Vegan has an answer for that too. Sure, veggies, nuts, and seeds contain protein. But there's another answer, and that's where things get a little creative. You see, many paleo diets allow for 20 percent of their foods to come from the banished foods list. This cheating allows paleo dieters to have the occasional banana or pasta dish. But with a paleo vegan diet, a little cheating means vegans can still have unprocessed or minimally processed proteins, such as beans, legumes, tofu, and tempeh. Now, for the record, I've no desire to trade my junk food vegan diet for an uber-healthy paleo vegan diet. But it can't hurt to occasionally eat a healthy dinner in place of my weekly vegan ice cream sundae dinner (yes, that's a real thing in my house). I chose to two recipes from Paleo Vegan to get started. 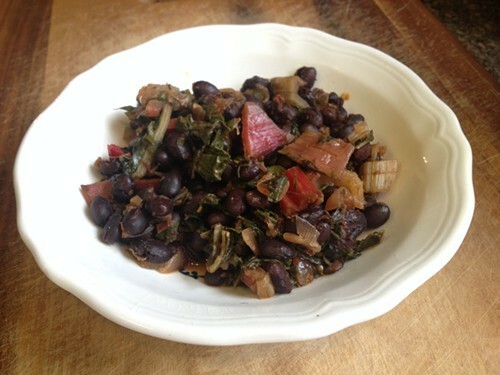 First, I made the Black Beans with Red Chard. This is a simple saute that's bursting with flavor, thanks to chipotle chile puree and smoked paprika. The chard leaves and stems are cooked down until they're melt-in-your-mouth tender. A traditional paleo dieter would have to cheat to eat the black beans, but it'd be worth it. Loved this dish! 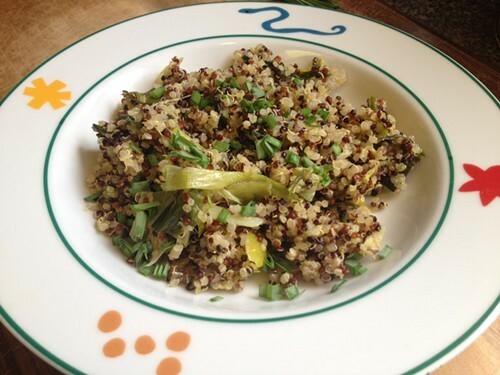 On the side, I made Quinoa with Leeks and White Truffle Oil. Technically, quinoa is not cheating. Even though it looks and cooks like a grain, quinoa is actually a seed. And it's packed with protein. Leeks and chives lend this dish an onion-y flavor, and the white truffle oil really sets it over the top. Honestly, you can add truffle oil to just about anything, and it would magically be amazing. That's all I tried from Paleo Vegan, but the cookbook is loaded with other healthy dishes that I hope to get around to making soon. There's a Roasted Pumpkin Dip (made with pumpkin, cashew butter, olive oil, salt, lemon, and garlic) that serves as a paleo stand-in for hummus. And the Avocado and Tempeh Towers with Spicy Red Pepper Sauce sounds like something I'd make for a nice dinner party. There are even tofu dishes, such as Spicy Fragrant Tofu with Peanuts, which gets its flavor from lemongrass, Thai chiles, and garlic. 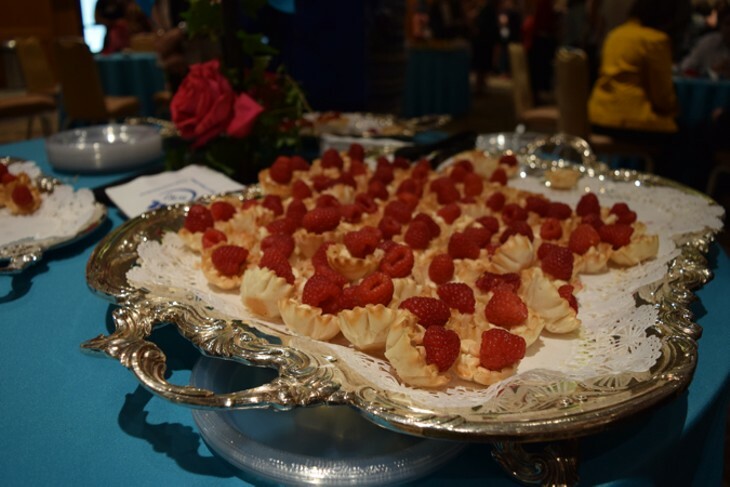 And lastly, of course there are desserts. But they're super-healthy treats that you won't feel guilty over later. Think Grilled Pineapple with Pineapple-Coconut Sauce and Figs with Chocolate Balsamic Vinegar. Paleo Vegan may include more cheats than a traditional paleo eater would be comfortable with, but without all the fatty meats, it's likely much better for your heart and your waistline.